“dbGaP Collection: Compilation of Individual-Level Genomic Data for General Research Use” is a new data set collection that is expected to become a very useful tool for researchers. Due to many requests from the scientific community, the NIH brought into play a change in the procedures for accessing aggregate-level data. Most of the dbGaP studies have considerable fraction of participants who consented for “General Research use” (GRU) NIH have recognized and acknowledged those consents to be essentially the same, even though the individuals participated in different studies. As a result this collection was created allowing users to obtain the data. Furthermore, in order to make the process of requesting access less painful and faster, it will be reviewed by a single, central Data Access Committee and users can gain entry through a single access request. The process is identical to those for individual-level, controlled-access data and you can find the instructions for requesters here. Investigators being authorized for access to the datasets within the collection will have the standard one-year approval period. In the meantime, one can choose to use data only from some individuals, but will still have access to all of the information. Additionally, the datasets are going to be updated with information of new individuals automatically. You will not need to make another request to make use of the data relating to these new individuals during your one-year approval period. Right now, there are 71 studies that you can get access through a single access request for “dbGaP Collection: Compilation of Individual-Level Genomic Data for General Research Use”. GRU-designated datasets will be added to the study only after the publication embargo for the original study has expired. 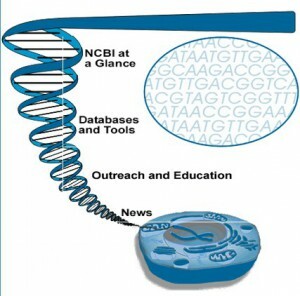 You can find more information the study and a list of authorized requests associated with this on the NCBI dbGaP website for the Compilation of Aggregate Genomic Data for General Research Use.